DNN Bluefin Payment Systems Add-on makes your DNN portal ready to use the Payconex payment gateway in order to accept credit card payments and e-checks in a fast, easy and secure way. With this Add-on, everything is easy, both for admins and customers: installation requires mere minutes and blends seamlessly with DnnSharp's modules, while transactions are kept within your DNN portal. Customers stay with you, and so does their confidence. With DNN Bluefin Payment Systems Add-on there is no requirement for setup time. If you've got an account with Bluefin you can start collecting payments through the Payconex payments gateway without having to fuss with complicated APIs and documentation. DNN Bluefin Payment Systems Add-on is built to work right out of the box and is tightly integrated with our top modules so you don't have to worry about conflicts or core upgrades later. DNN Bluefin Payment Systems Add-on's payment settings interface makes it easy for anyone start making money with an Action Form powered form within minutes. 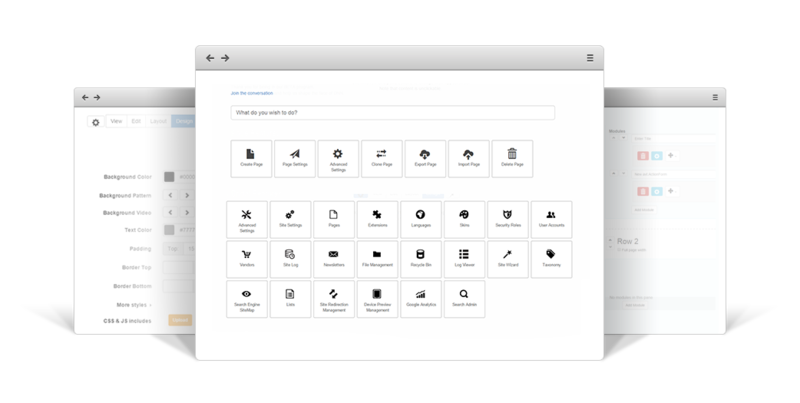 After designing your form or choosing an available template, you can quickly assign prices to the choices and selections a user makes on your form. DNN Bluefin Payment Systems Add-on allows you to accept credit card payments, using Bluefin's Payconex Payment Gateway. If you are a specialty merchant that sells one item, either a product or a service per order or you rely on donations this is the solution for you. If you’re looking to accept payments through bank transfer, take note! Your forms can be enabled to accept eCheck payments. You are not limited to default fields in the templates. If the available template doesn't suit your need, you can select which extra data to pass to Bluefin. DNN Bluefin Payment Systems Add-on got your back. The template available is responsive which means it will self-adapt to the device your visitor is using. You can write a condition that will determine at submit time either the Bluefin Payment actions will get executed or not. 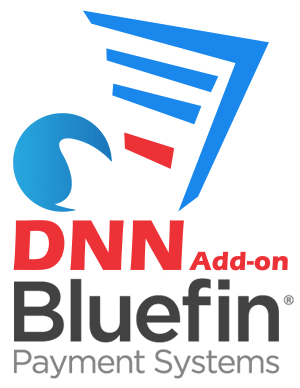 Frequently asked questions cover answers to most of the questions that you might have related to DNN Bluefin Payment Systems Add-on. Please read this section carefully before waiting for support. Who knows? You might find the answer quicker than expected. Once you buy an Add-on license you'll have free updates and support as long as your Add-on license is active and the updates and support subscription for the module you use the Add-on with (Action Form, Action Grid, DNN API Endpoint, Sharp Scheduler, InfoBox) is active as well. DNN Authorize.Net Add-on's payment settings interface makes it easy for anyone start making money with an Action Form powered form within minutes. With DNN Authorize.Net Add-on there is no requirement for setup time. If you've got an account with Authorize.Net you can start collecting payments without having to fuss with complicated APIs and documentation. Simply download and install it and you are good to go! DNN Authorize.Net Add-on is built to work right out of the box and is tightly integrated with Action Form (v. 03.04.63+) so you don't have to worry about conflicts or core upgrades later.